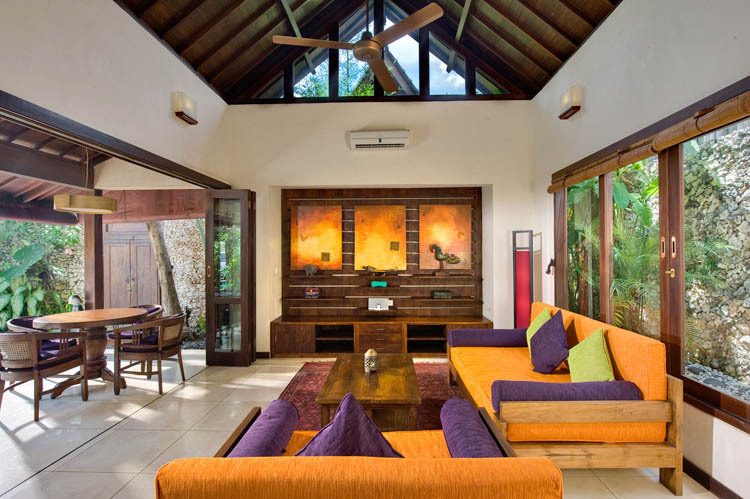 iPod dock in living room. 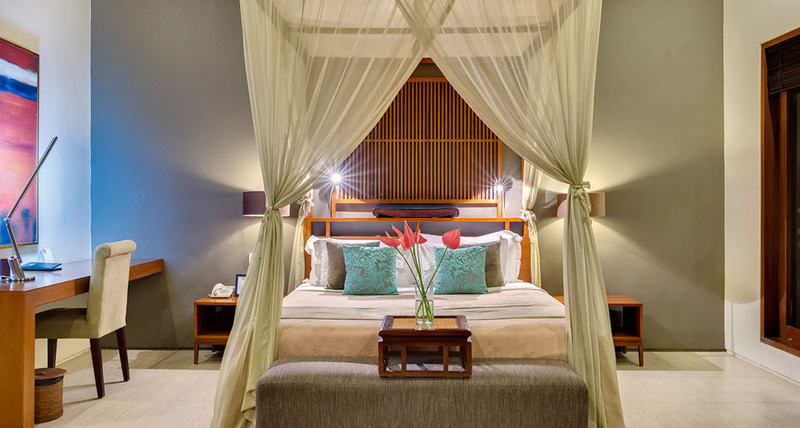 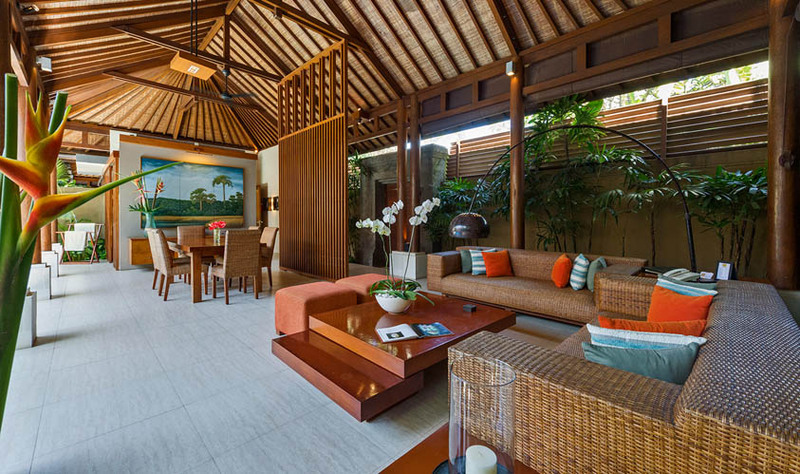 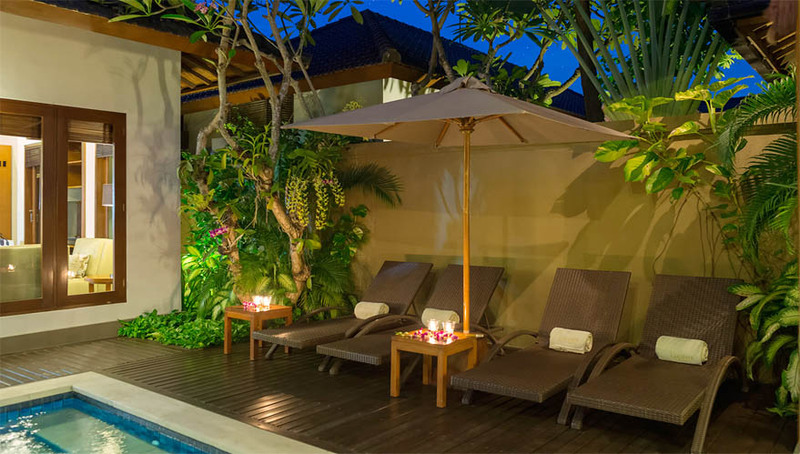 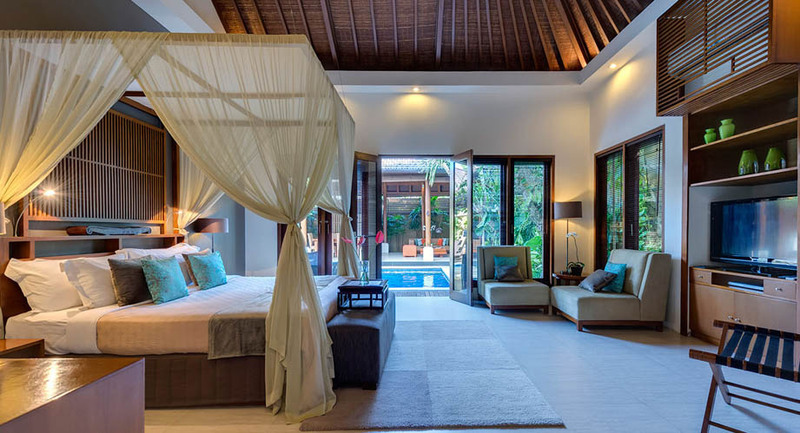 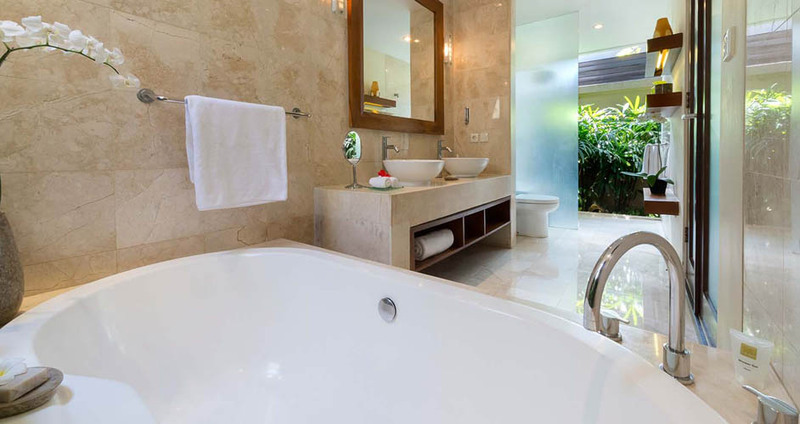 This beautiful 2-bedroom villa features a great location in the heart of fashionable Seminyak, namely Petitenget. 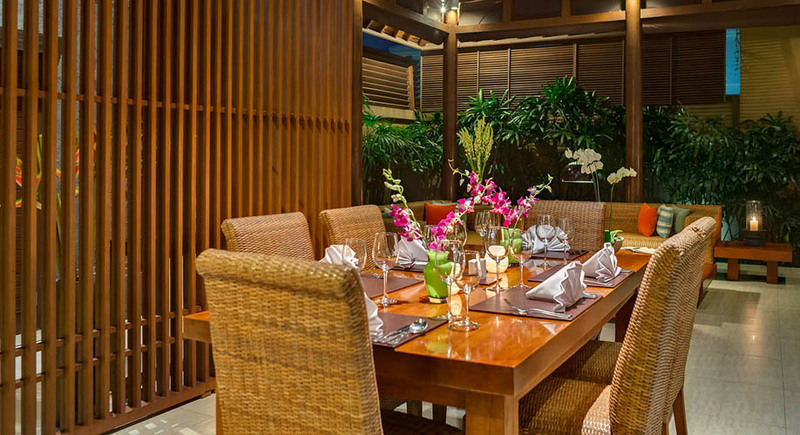 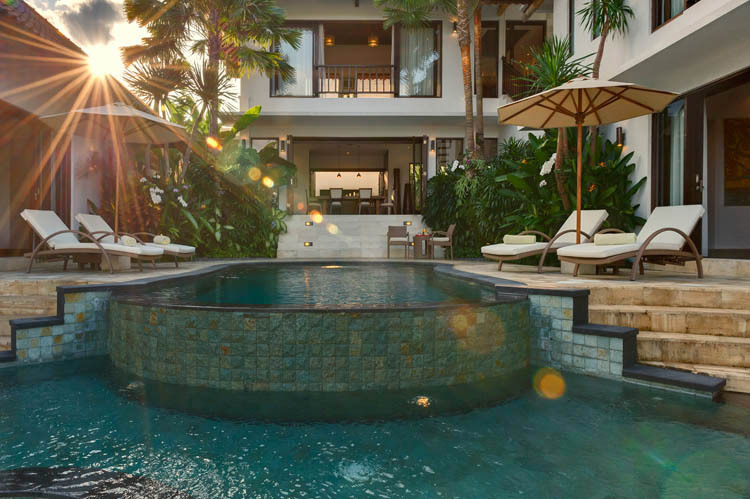 Nested between the ocean, its stylish Beach clubs, but also a large range of upper-class restaurants and bars, this luxury villa for rent in Bali is the perfect spot to enjoy the vibrant life of Seminyak within a walking distance. 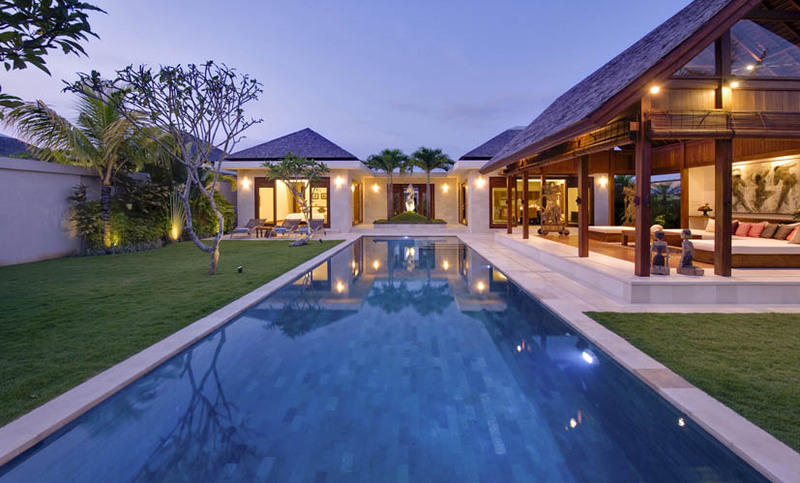 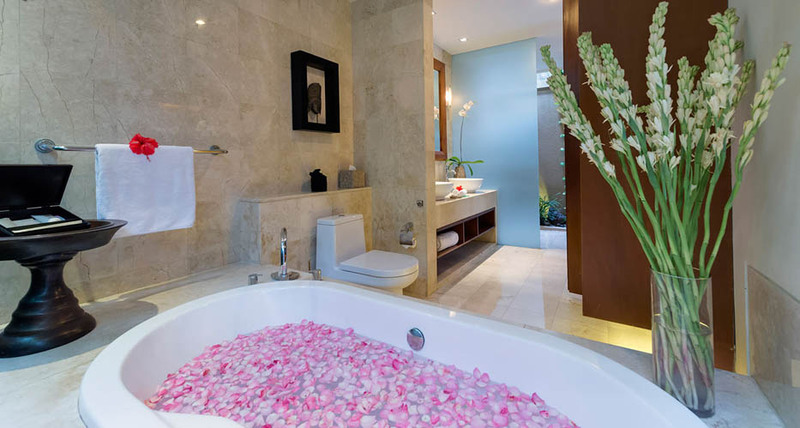 However, the property is hidden in a private and quiet estate in order to feel like far away from the crowd. 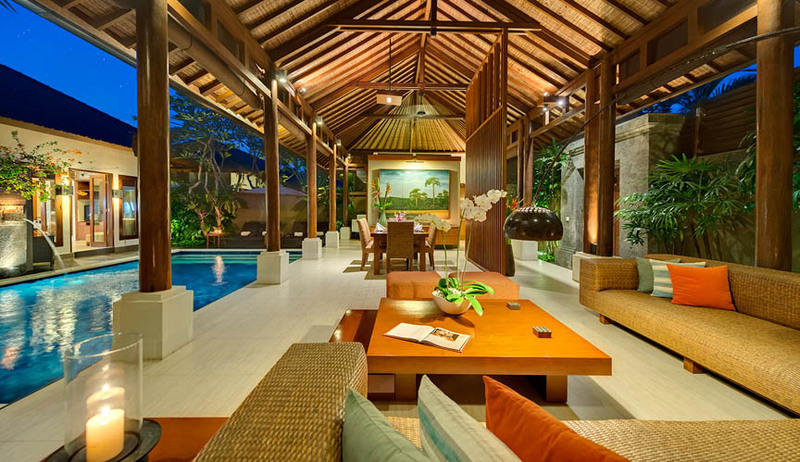 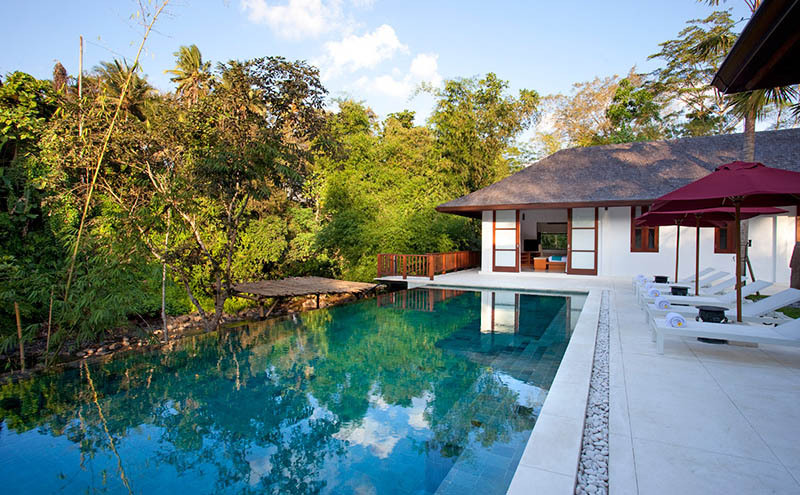 This villa in Bali is composed of 2 pavilions separated by the pool. 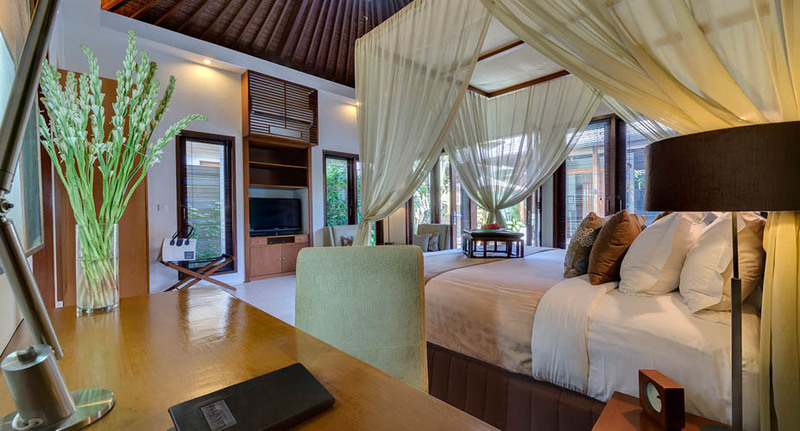 On one side, there are two bedrooms arranging accommodation for 4 guests with soft and comfortable bedding. 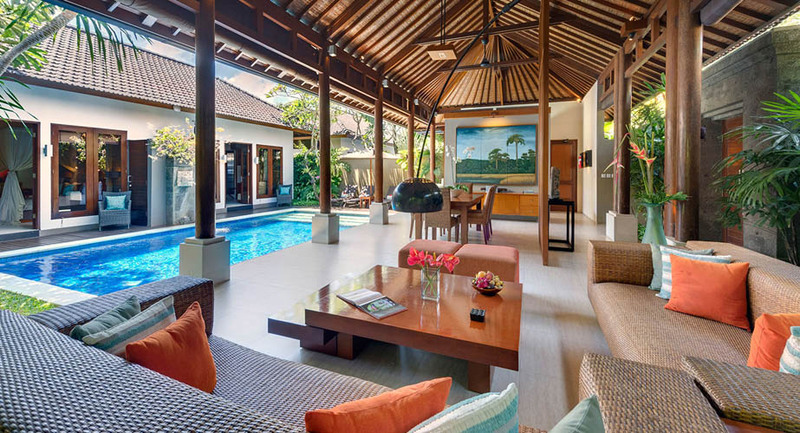 On the other side, you will find the large open-sided living room. 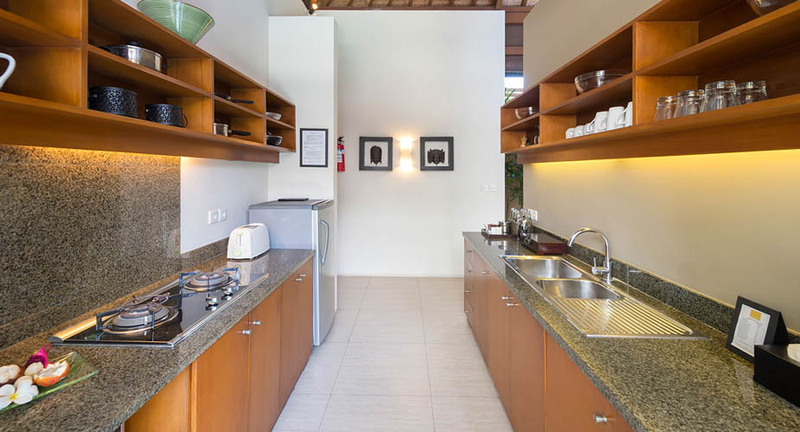 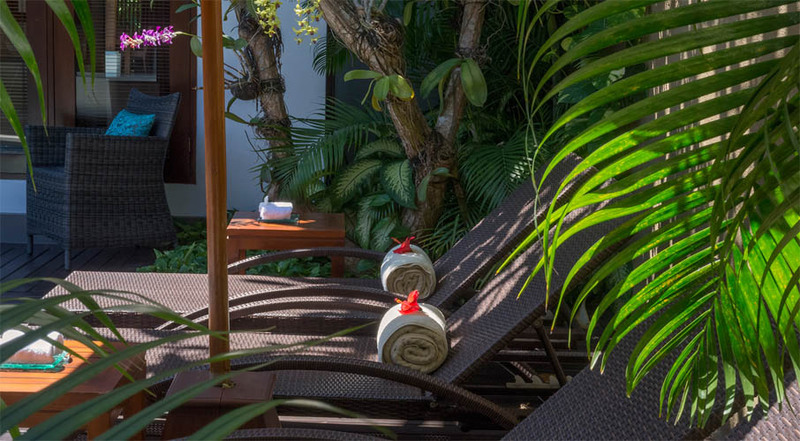 This agreeable area enables to take advantage of the climateâ��s sweetness while enjoying a relaxing view over the poolâ��s water. 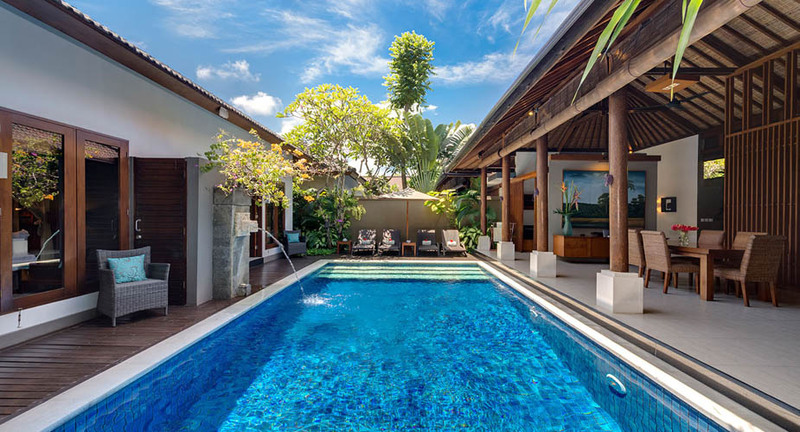 Your only constraints will consist in deciding between having a sunbath along the pool or having a refreshing swim! 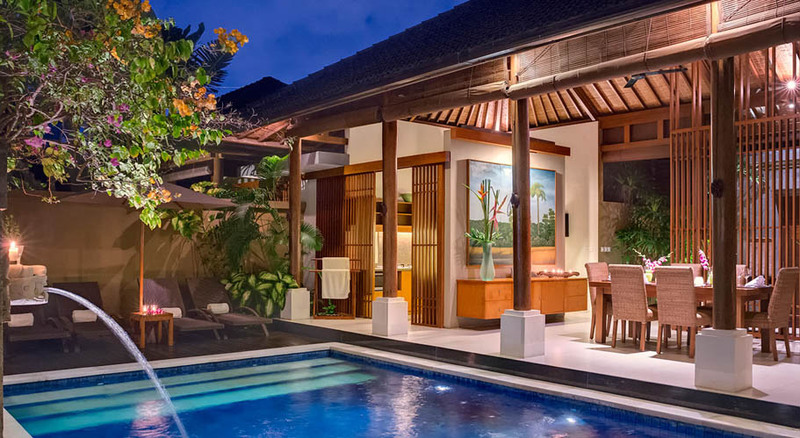 Outside this Bali villa, Indonesian vegetation surrounds the lovely swimming pool and provides a tropical a soothing atmosphere. 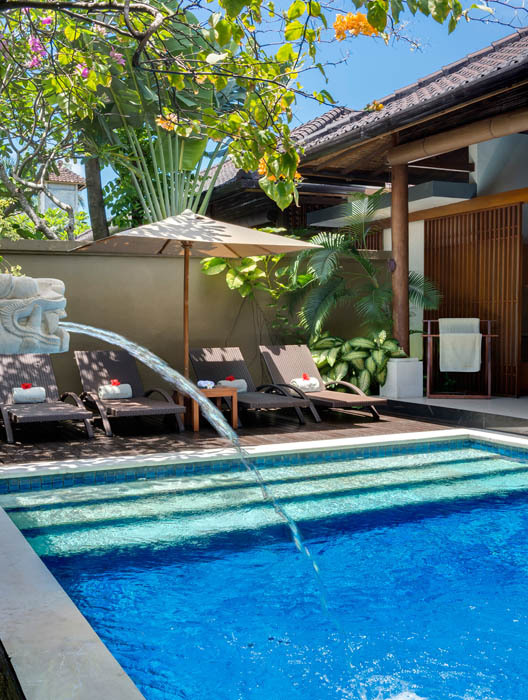 The central swimming pool offers a cooling entertainment which is really enjoyable after a moment spend under the daily heat of the Balinese climate. 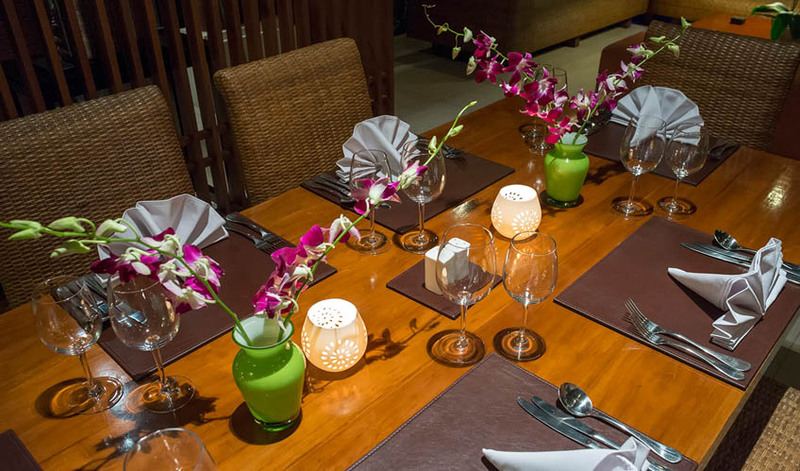 Outings are very easy thanks to the location in the middle of many cosmopolitan facilities. 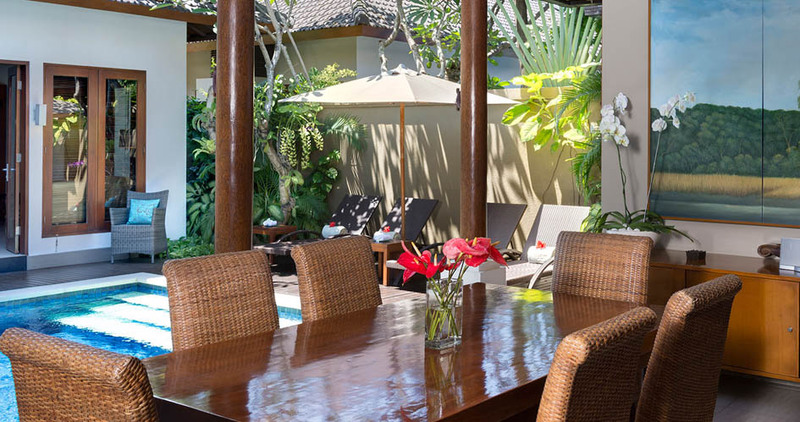 Nearby, you will find the famous Indian Ocean with its surf breaks, several upper-class Beach clubs, restaurants, bars and shops. 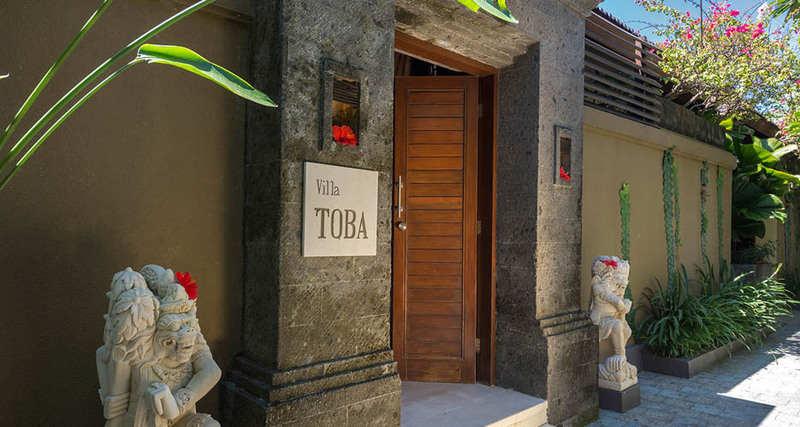 Therefore, you donâ��t need any transport from the villa to those places. 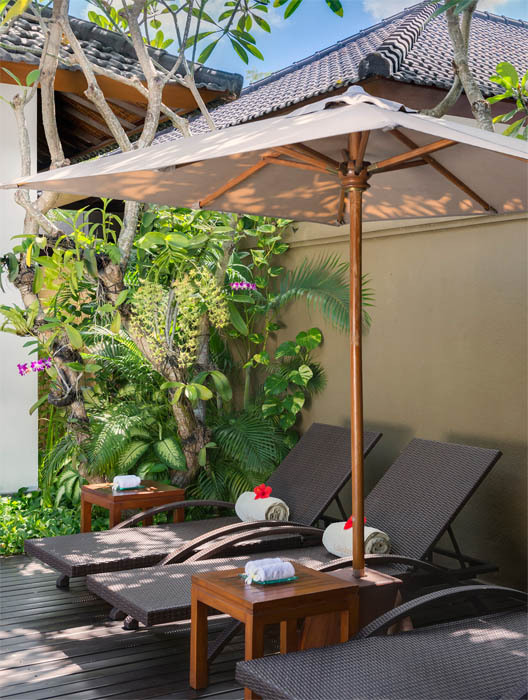 Last but not least, you benefit from the attention of a dedicated staff. 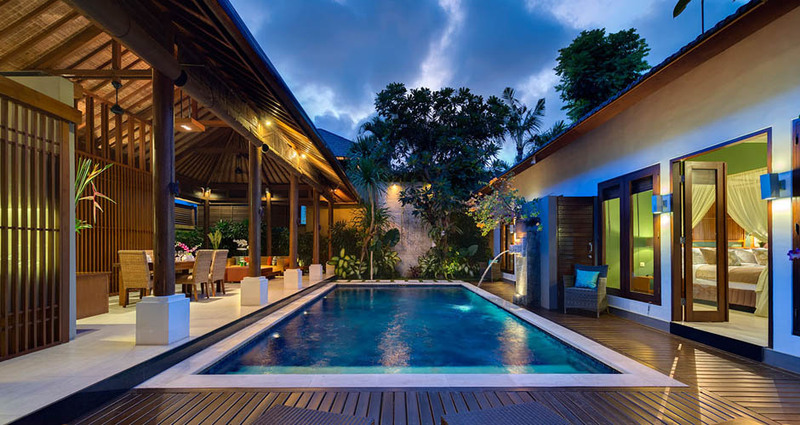 They make sure you feel totally comfortable while discreetly maintain the property. 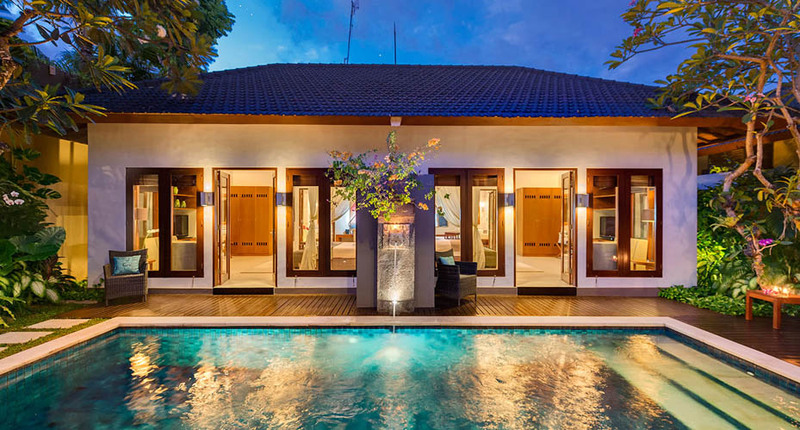 According to your wishes of adventure, Bali Je tâ��aime villa rental can organize for you tours and activities all over Bali so that you can enjoy and discover the charm of the Island of Gods.